What does biking have to do with fitness, fun and productivity? Everything, at LifeBound. 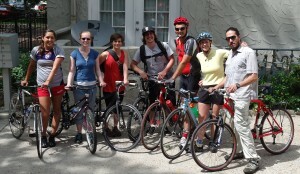 In fact, six people at LifeBound’s office bike to work regularly. 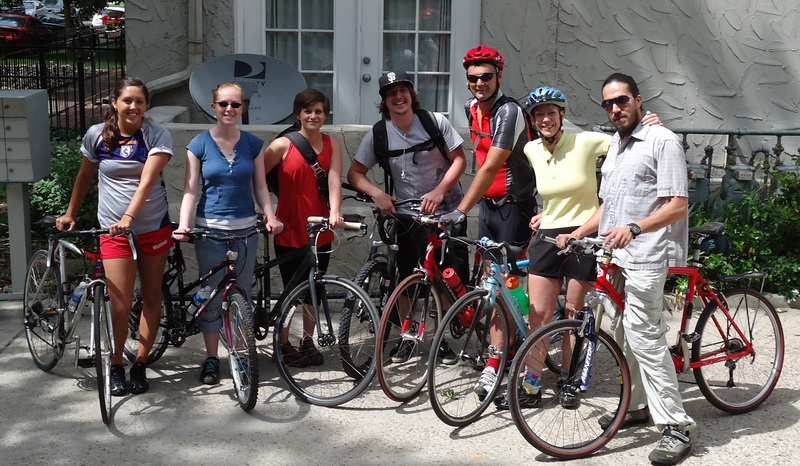 Last Friday, on one of LifeBound’s Fun Fridays, the team took the afternoon off and rode through Denver’s bike paths. We are taking this time to reflect on the positive impact that exercise has on learning and one’s ability to retain what they have learned whether you jog before work, walk, bike, do yoga or Tai Chi. Any type of exercise will foster your sense of calm, fuel your creative juices and ignite your wherewithal for the challenges of the day or help you unwind at the end of a long day. According to a study, babies are born with 100 billion brain cells; each one has the potential to connect with 15,000 other brain cells. These cells need instructions on how to make these connections, and in turn, learn. These connections can be made with the help of nutrition and exercise. Not only does exercise help to facilitate learning in children, exercise also assists in attention, memory, focus and the ability to retain what is being taught. Exercise can also help prevent Alzheimer’s and other diseases associated with aging. 1. Exercise increases cellular components, which support the brain’s system that is responsible for learning, decision-making and memory. 2. Exercise improves the environment of the brain cells by releasing hormones that enhance neural pathways for learning. 3. Exercise grows brain cells and the more brain cells a person has, the more the individual can learn. In the past, it was thought that adult’s brain cells stayed at a fixed number and never increased. However, Ratey recently found that while conducting a study on mice that the mice that trained on running wheels produced twice as many new brain cells as their non-running counterparts. In addition, a study in Germany showed that learning rates in people improved 20 percent after they exercised. Exercise is for the young and old, the rich or poor, the stay at home parent or the corporate workhorse. It is time for us to get out, enjoy the sun and exercise to promote learning, happiness and the ability to accept and embrace challenge. Target has a make summer fun activity wheel full of ideas. https://www.facebook.com/target?sk=app_114555798627626 How many people at your place of work participated in bike to work day? Are there other summer events either for exercise or a cause—like the walkathon for breast cancer—which you will be a part of this summer?